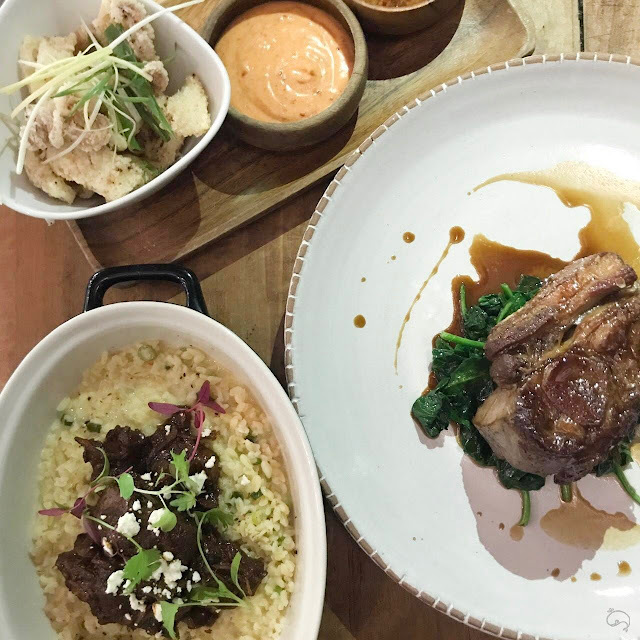 We went to The Halia and tried out their newly halal-certified (just last May!) all-day dining menu. Here's what we think. The Halia is located at Singapore's Botanical Gardens, in the middle of lush foliage, about an 18-min walk from the Botanic Gardens MRT Station. We know, an 18-min walk sounds a tad bit exasperating but hey, good food awaits you on the other side, we promise! Just enjoy the walk in the garden itself until you find yourself in Ginger Garden (because 'halia' in Malay translates to 'ginger' in English). 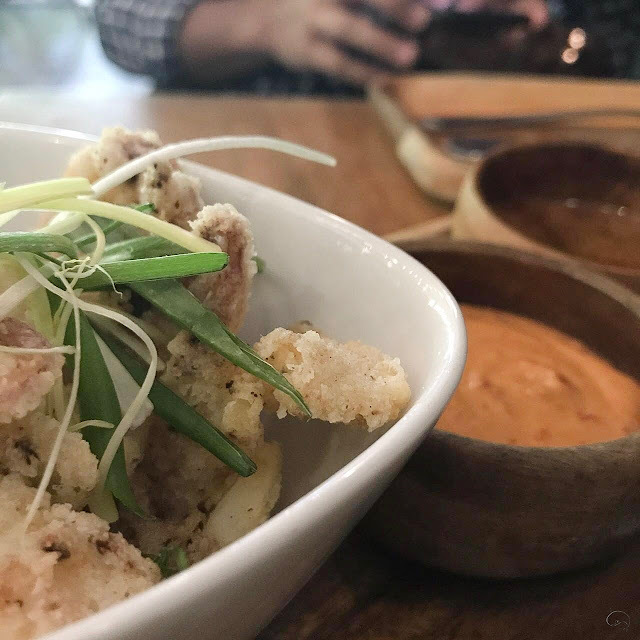 We started off with the Deepfried salt & chilli squid with spring onion, ginger-lime syrup and piquant mayo (S$15). Piquant simply means a pleasantly sharp taste or appetising flavour, and that's what it is — the mayo is pleasantly good, definitely the star of the dish. The squid, however, we'd prefer for it to have a little more seasoning on the batter. It's interesting to note that this dish falls under the 'Light' category, and we found two other categories that are named 'In Between' and 'Large'. We assumed that this simply refers to the size of the dishes — great for people who don't wish to waste food by not finishing it up. Great selection of dishes under each category, we must say. The downside though, there are no pictures of the dishes on the menu. So for clueless people like us, just ask for recommendations from the friendly servers! 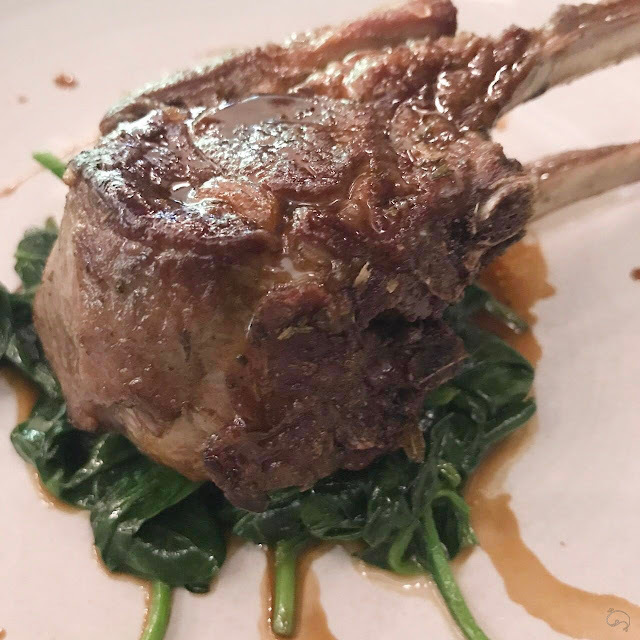 They would know the menu very well, considering they frequently have little quizzes and discussions to test their knowledge on the food items on the menu. You know for sure you're in great hands! Going through the 'Large' category, the Lamb rack & braised Spice Islands marinade rump stew (S$46) had an annotation that says 'to share'. We assume it's that big, so we decided to go for it to share amongst us. 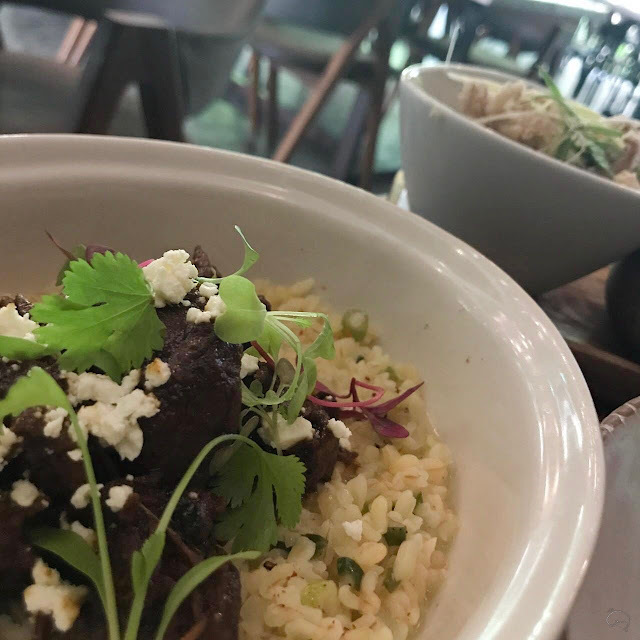 The lamb rack was tender, and it was another whole experience when paired with the Bulgur wheat, a side dish to the lamb rack with pieces of the lamb, feta cheese and thyme jus. The whole dish was an explosion in our mouths! Here's our attempt at a flat lay photo of the dishes we ordered, which doesn't do justice to the dishes. We're noobs. 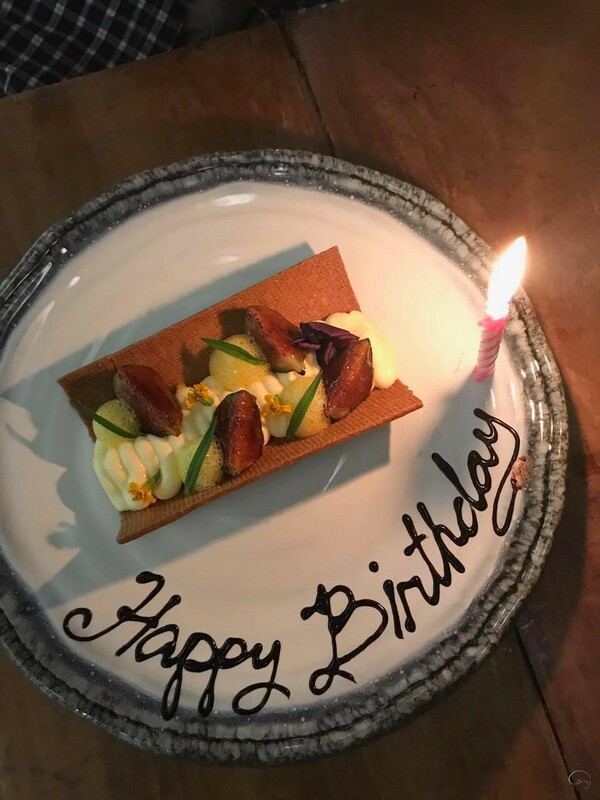 Clearly, we were celebrating someone's birthday 😁 This exquisite dessert is the Fig Tart (S$11), made up of yoghurt mousseline, speculoos, caramelised fig and turmeric foam. Something so simple like the speculoos base could turn into something so... special *cries tears of joy*.